The Hart of the Munchkin Patch: Packing for 5 ... Days out with the kids! Packing for 5 ... Days out with the kids! Everything but INCLUDING the kitchen sink! As a couple with no dependants, leaving the house was so easy to do. Grab purse ... grab phone ... grab keys ... pop jacket on ... good to go! Those were the days when we would realise we were out of milk, and within 20 minutes of this discovery, a fresh bottle of milk would be sitting in the fridge. Those were the days when we could go out without the nagging feeling that something has been forgotten that now haunts us until we get home again. Those were the days when we could say "yes" to invitations from friends without a second thought. "Fancy going out on Saturday night ...?" "Ok, I'll go find/buy something to wear ...!" These days are a very distant, almost invisible memory! ... How does July sound ...?!" For a simple day out now, with or without the children, all sorts of missions require completion before anything can go ahead! So much so, that at the moment, our days out are at minimum in quantity, usually very close to home and kept quite short. With 3 children under the age of 5 years, home means safety! Everything we need is here, the kids are safe and reasonably contained, the toilet is nearby putting an end to the "mummy, I need a wee - RIGHT NOW!!!" 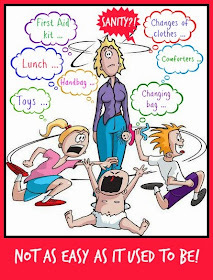 moments, and if the baby cries, we can deal with it in our own ways without worrying that someone is getting angry at the sound or judging us for our parenting methods!! It won't always be this way. Plum is still only a few months old, and Beastie Boo is at an age where everything needs exploring and she is too young to walk everywhere, but too curious to want to stay strapped in a pushchair. We are actually a family who love to get out of the home whenever we can. We love to take the kids to new places and enjoy watching them taking the endless delights of the outdoors. Both Munchkin and Beastie love little more than just running around a big park, even more so now that Beastie can actively join in the fun. However, the weather has been cold and wet and the days have been short, meaning we have been very restricted as to where we can go as a family. Springtime is upon us and we have started looking at places nearby that we could consider visiting with the kids in the coming months. Munchkin is 4 now, and has a growing list of places she would like to go and things she would like to do during the Spring/Summer. She likes to sit down with me when I look for ideas for things to do, which is one of the reasons I love Away with the Kids. Away with the Kids has everything in one place. 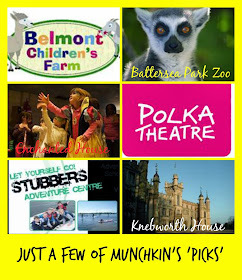 I find it so helpful when I am looking at planning a day out with all or one of the children. In fact, Away with the Kids is a wonderful source of information whether you are looking for a family day out, a family holiday (either in the UK or overseas!) or places to eat as a family. Munch and I have been looking at different places to go in the Summer, as The Man has agreed to take some of his annual leave from work in the Summer months so we can have some days out with the kids as a family. Munchkin starts school in September, and therefore we are really keen to make this Summer one to remember! I think we have Summer covered for the next 4 years after a brief session on the AWTK website!! Using the Search feature means you can filter your results to your chosen location(s), which meant that every time Munchkin said "I want to go there! ", it was worth a consideration. 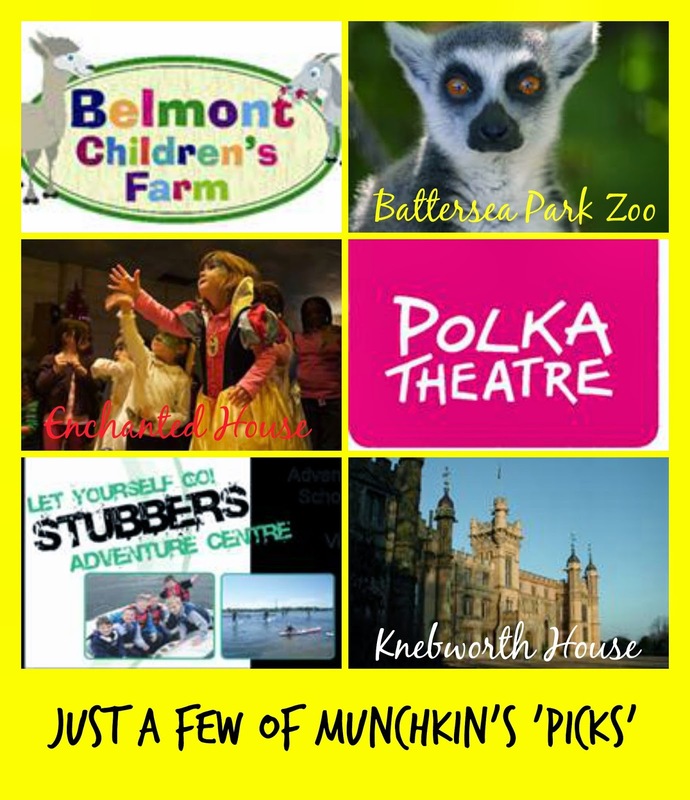 AWTK lists places to go as a family, therefore all of the venues available to view in their directory are child friendly throughout. I can even look into the facilities offered by each location, ensuring that it is suitable for a young child, a lively toddler and a small baby. One of these days, we would like to look at going abroad as a family. This is something we have never attempted, but I think we could do it. Looking around, there are so many places that offer child friendly facilities that would be suitable for all 3 kids. I find that I am having to think less and less about what I need to consider and what we need to take with us when we leave the house for a day out! I have also found that maybe, just maybe, I don't need to take as much with us for a day out after all. With some venues providing essentials such as highchairs, travel cots, baby food, changing/feeding facilities and much more, going out and going away as a family is becoming less daunting! Who would have thought that all of these countries are actually very family friendly. I love the fact that there are some really exotic locations there too. There are some places that would never have crossed my mind when looking for a family holiday! So, for us mummies (and daddies!) who have far too much to do in the day to even think about fitting in some organisation - here is a way to put some method to the madness! Days out and holidays don't need to be such a mission after all! Unless you're a mummy to Munchkin, Beastie Boo and Plum ... then everything is a mission! !